Eating meat is delicious and healthy because it contains protein and iron are very necessary body. But be careful, do not get too many because it can be dangerous. 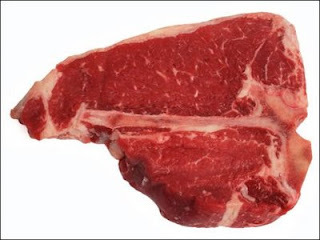 Meat consumption should be limited because in it also contained many substances that must not be excessive in the body. In addition to nutrition should not be excessive, the way of cooking meat that is not properly also increase the risk of disease. Various research has found that consumption of red meat has been burned can increase the risk of cancer, the plaque that builds up in blood vessels can lead to heart attack and stroke. Diet uses plant-based foods such as fruits, vegetables, nuts and seeds will improve your health and help prevent disease. Plant foods rich in fiber, vitamins and minerals. In addition, people who consume a lot of vegetable materials or even becoming vegetarians often managed to lose weight, reduced caloric intake and decrease cholesterol levels. But this does not mean you should necessarily eliminating meat from the menu daily consumption. Reducing meat consumption would lower the risk of disease and death. Meat, especially processed meats such as hot dogs and red meat contains a lot of saturated fat can raise levels of bad cholesterol. In addition, the risk of attacked by diseases such as type 2 diabetes, heart disease and blood vessel will increase. Reducing portion of meat can help reduce the consumption of saturated fats that can help improve your overall health. Reducing meat consumption will lead to increase the consumption of fresh fruits and vegetables because the body needs something to replace meat consumed. Increase the supply of fresh fruit and vegetables can help reduce the consumption of meat. How to reduce the consumption of meat can also be accomplished by reducing the portion of meat and replaced with fruits or vegetables of your choice. Thus, the intake of vitamins and minerals will also increase. 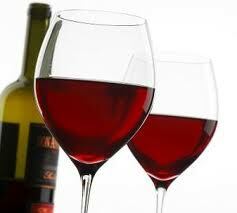 Many people say that the benefits of wine give any advantage to health. These drinks can help lower cholesterol, prevent cancer, and is good for heart health. According to research from the Cleveland Clinic Lerner Research Institute in Ohio, a glass of red wine a day can treat and prevent breast cancer. This is because the compound resveratrol which is an antioxidant ingredients to fight infections. Wine is an alcoholic beverage produced from the fermentation of fruit. The main ingredients used to make the wine is plum, blackcurrant and grape. however, quoted from the daily mail, recent study from Rutgers University in the United States reveal about the dangers of consumption of two glasses of wine per day for brain health. Even the continuous consumption was also able to decrease the production of brain cells by 40 percent. This is explained by Megan Anderson, author of the research. according to explanations of Anderson, in the short term may not seem a problem with brain function and also with motor function. But in the long term, the adverse effects of wine would attack the memory. The scientists conducted research on rats. The groups of rats were given wine, the blood contained 0.08 per cent alcohol, and this is very disturbing brain cells. Alcohol is also damaging motoric skills of rats. The number of nerve cells in the brain's hippocampus was reduced almost 40 percent, compared with rats that did not consume wine at all. This is a substantial reduction in the amount of brain cells, which can give adverse effects for adults. The quality of your sleep at night affects your performance on the next day. You need to avoid some of the mistakes that can disrupt your sleep, because, we need rest enough and quality. It is very important. Most people want to spend the night on a weekend get together with friends after working hard during the week. Usually people will change the sleep time in the morning and would wake up at noon. It can mess up your biological time and affect on your sleep habits in the next day. So you will feel tired due to poor sleep and did not have spirit when returning to work. Go to bed at the usual time that you already do every day, so it does not disrupt your biological time and make sure you sleep as much as 7 to 8 hours per day. According to the National Sleep Foundation, most people utilize 60 percent of the time before going to sleep to do household chores, 37 percent of the time to take care of children, 36 percent do activities with other family members, 36 percent use the Internet, and 21 percent completed the employment office. 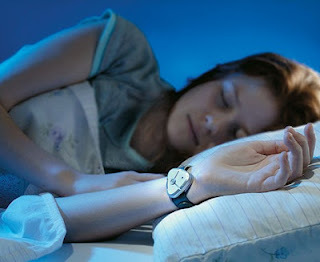 Keep working up to an hour before sleep may cause the body is not good to be rested and will be maintained for a moment. Reduce activity before bed or do light activities such as reading books, listening soft music or take a shower so that the body is more relaxed and ready for a rest. Spend too much time to play with your smartphone can disrupt your sleep. Mobile technology is increasingly sophisticated offering various facilities such as email, social networking, and a variety of games to keep you entertained. Unfortunately, keep checking the phone before going to sleep though just to check email or look for entertainment through social networking can make you too fun in the activity, thus disturbing your sleep. Therefore, turn off your cell phone or disable the ringing tone before sleep so you can sleep soundly. Although exercise can cause you to sweat, but this activity can help improve the quality of your sleep. But if you doing sports well before you sleep can make you feel tired the next day. Be sure to schedule your exercise at least 3 hours before going to sleep in order to give time for the body to rest and relax for a while before you sleep. Drinking coffee before sleep makes you awake at night. Drinking coffee or tea in the evening is a very bad idea because the caffeine in these drinks may disturb REM (rapid eye movement) that rapid eye movement which is a normal stage of sleep and make you feel tired when you wake up in the morning. It is better to drink warm milk before going to sleep than drinking caffeinated beverages. Drinking milk can make you sleep more soundly.